Discount glass tile store specializing in a large beautiful selection of glass and stone tile to enhance the beauty of your kitchen, bathroom, kitchen backsplash and all other rooms that tile can be placed. 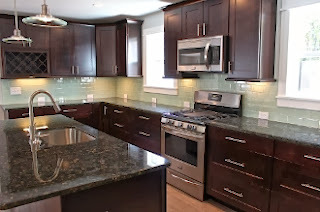 Finding it extremely difficult to find the perfect Kitchen Backsplash? Cant decide what material to use? Glass, Stone, Ceramic? An option to consider is glass subway tile. Not only does the subway tile come in 3x6 you can also use more unique size options like, 2x4, 2x12, 2x6, 4x12, and 4x16. 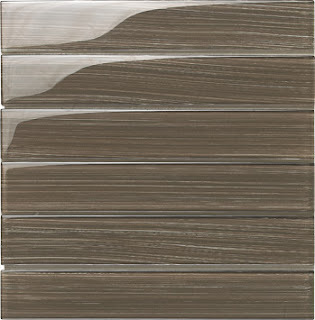 The 3x6 is still the most popular size and offers the most colors, it has a classic look and a timeless design. As far as styles go the traditional look is the solid color, but now you can get different looks like the picture above has the lines going through it. Also with the longer subway format it will open the room up because there will be less grout lines. Some basic pattern options consist of offset, laying them in thirds, or a straight stack pattern. Here are some different size option pictures of the subway tile.